UCCS sustainability efforts were recognized as some of the best in the nation in three sets of rankings released in August 2018. UCCS ranked in the top-10 by the Association for the Advancement of Sustainability in Higher Education for two categories in its 2018 Sustainable Campus Index release Aug. 22. The campus ranked sixth overall for master’s level institutions with a score of 74.3 and ninth in energy performance with more than 70 percent of electricity being offset by renewable energy. The university also earned recognition as one of 26 schools on the 2019 Princeton Review Green College Honor Roll released in August. More than 648 colleges received a Green Rating score, but the honor roll designation went to those who scored the maximum possible score of 99. UCCS and Colorado State University were the only schools from Colorado to earn the recognition. UCCS ranked in the top nine percent of Sierra’s list of 2018 Cool Schools released Aug. 27. The campus ranked No. 24 of 269 schools with a score of 73.46 across 19 categories. 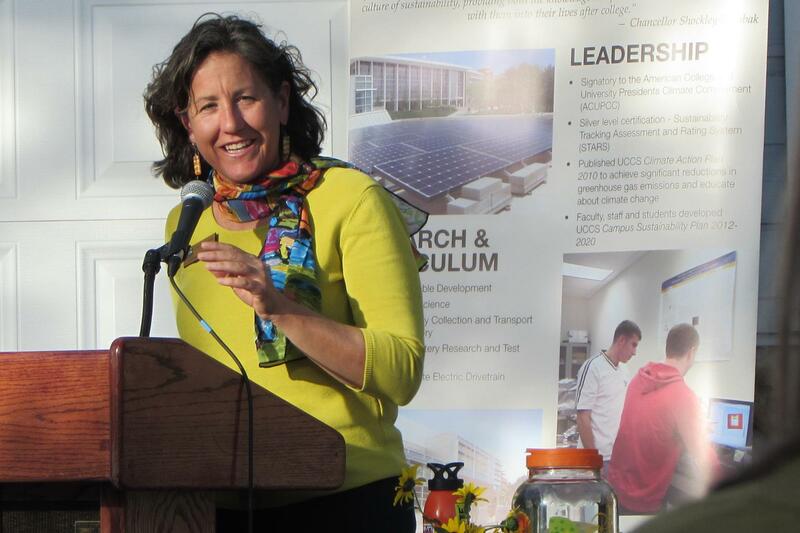 UCCS ranked fourth in the nation in energy performance and eighth in high performance buildings within the categories. UCCS diverts more than 50 percent of its waste, requires a sustainability course within the Compass Curriculum for undergraduate students, implemented a free bus pass program for students to use the city’s Mountain Metro Transit and provides local and organic food with an on-campus greenhouse and farm. The university was recognized as a silver level Bike Friendly University with a growing Pedal Perks program and bicycle infrastructure, and has received 13 LEED Gold certifications for buildings.